Nu Skin 180 Anti-Aging System: Does It Work? Poor diet, lack of exercise, poor skin hygiene, exposure to UV rays and pollution, lack of sufficient sleep, excessive alcohol drinking, smoking, and even harsh ingredients in makeup and skincare products all work together to damage your skin. Young skin is able to cope with these stressors but, as you get older, skin loses its ability to fight off the damaging effects of all these factors. To make matters worse, your skin’s natural skin repair and renewal processes significantly slow down as well, as soon as you hit your 30s. 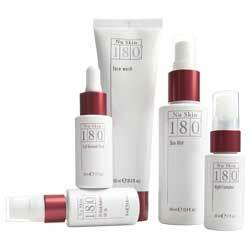 What Is Nu Skin 180o Anti-Aging System? Nu Skin 180o Anti-Aging System– Does It Really Work? What Are The Ingredients In Nu Skin 180o Anti-Aging System? How To Apply Nu Skin 180o Anti-Aging System? Does Nu Skin 180o Anti-Aging System Have Any Side Effects? Nu Skin 180o Anti-Aging System is a full range of anti-aging skincare system designed and formulated to help your skin speed up cellular turnover rate and make more efficient its natural ability to repair, renew and rejuvenate skin. Nu Skin 180 Skin Mist. All products under the Nu Skin 180° Anti-Aging System work together to speed up your skin’s natural skin cell turnover rate which allows new, young skin to surface and replace old, damaged skin. This process allows skin to be more elastic, better moisturized, and less prone to developing and showing signs of skin aging. Nu Skin 180o Anti-Aging System – Does it Really Work? The products in the Nu Skin 180o Anti-Aging System are formulated with ingredients that enhance and speed up skin cell turnover, improve skin moisturization, and strengthen the skin’s natural barriers to protect skin from free radicals and other environmental stressors. The PHA content infused in these products are specially important in exfoliating skin and stimulating skin cell turnover to give you that smoother, softer, more elastic skin that is more resistant to wrinkles, fine lines and other signs of skin aging. Nu Skin 180 Face Wash. Formulated with 10% Vitamin C, this product is formulated to thoroughly but gently cleanse skin and tone skin as you wash your face. Nu Skin 180 Skin Mist. Infused with hydrolyzed rice protein which supplies additional amino acids that serve as building blocks for new skin to be produced and surfaced. Nu Skin 180 Cell Renewal Fluid. Made with 15% Polyhydroxy Acids (PHA) which has been proven to be gentler than alphahydroxy acids (AHA) which causes skin irritations. PHAs provide gentle skin exfoliation, makes skin smoother and more radiant. Nu Skin 180 UV Defense Hydrator SPF 18. 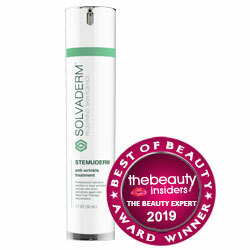 Infused with micronized zinc oxide which serves to shield skin from UVA and UVB rays. Full products ingredients list not available. Does Nu Skin 180 Anti-Aging System Have Any Side-Effects? In the absence of a full ingredients list, it is difficult to evaluate the products included in the Nu Skin 180o Anti-Aging System for possible side effects. The Nu Skin 180o Anti-Aging System may seem expensive at first look but, with the proven and tested active ingredients identified with percentage formulation, the system should work wonders on your skin.